Realize that you may not have symptoms right after an accident and still be hurt. A visit to an experienced chiropractor can help determine whether damage to your body has occurred. Respect the immediate actions you take may significantly impact your long-term health. Proper use of ice and heat can reduce the length of time you are in pain. 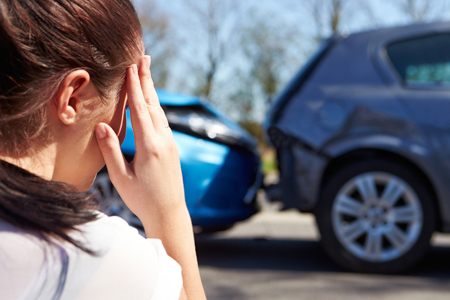 Respond to the unexpected circumstances caused by the accident with an action plan. Safely take photos of the accident damage of both vehicles. Photograph internal damage to the vehicle. Photograph your injuries and the healing process. Keep a diary during the healing process to document the impact of your injuries on your life. Remember the insurance adjustor works for the insurance company. Ultimately, their job is to save the insurance company money. Do not sign anything before you have consulted an experienced attorney and understand your basic rights. Regard the story of your injury. Understand your story will be told by words you tell the police officer, the adjustor and the doctors. It will be documented by your diary, pictures and results of medical tests and examinations. The magnitude of your injury will be shown by your willingness to seek care and remain on a treatment schedule until your injury has resolved.